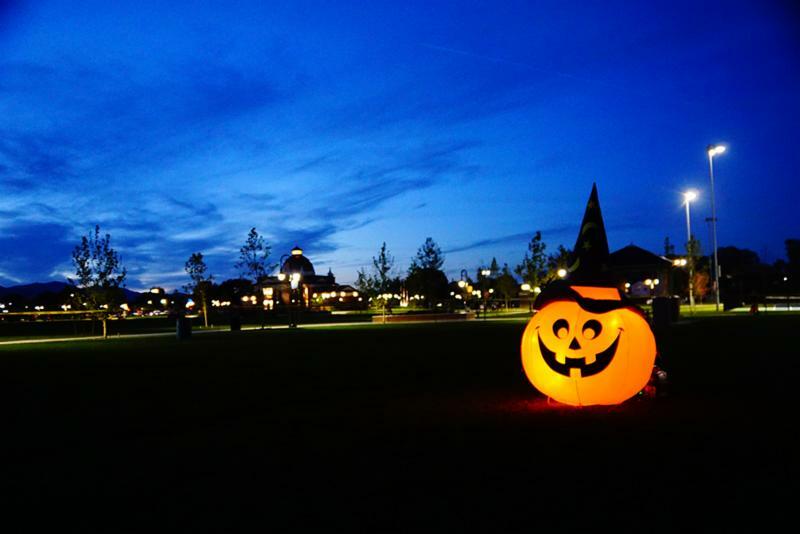 Riverton Recap: LIVE with the Mayor, Trash Can Change Out, and more! 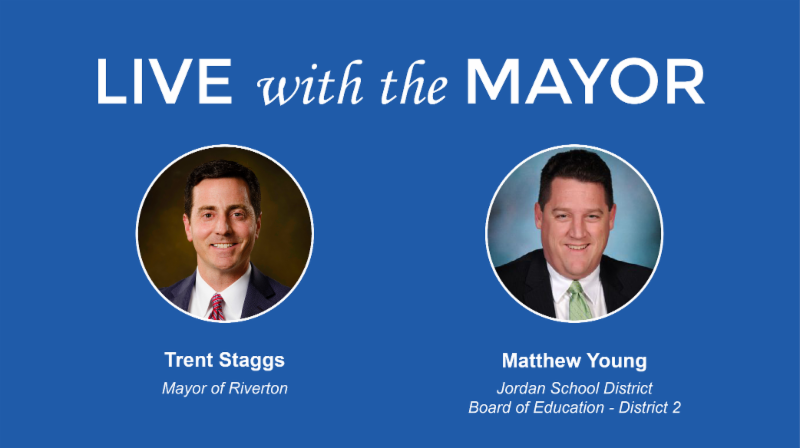 Tune-in to this month's LIVE with the Mayor segment featuring Matthew Young from the Jordan School District Board of Education. Mayor Staggs will discuss the proposed school boundary changes with Mr. Young. Watch live on Facebook at the link below or on our website . 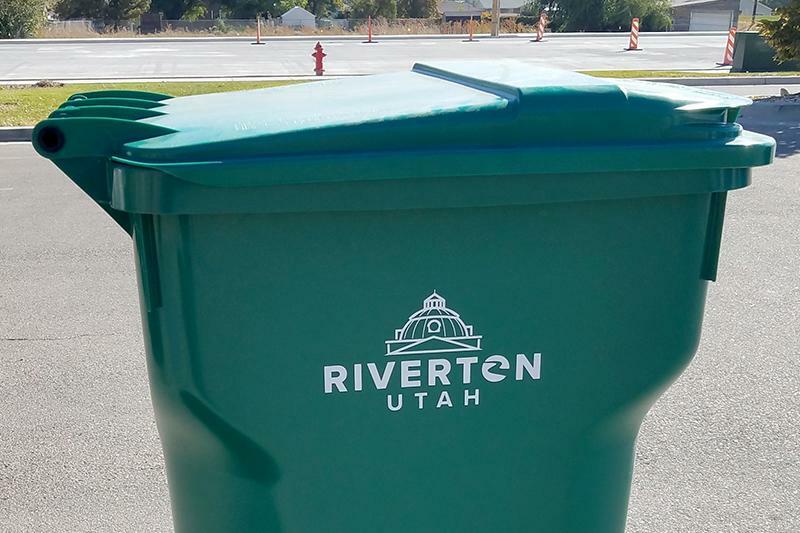 Waste Management began changing out all trash cans in Riverton on October 22. The change-out will continue throughout this week and into next week. Make sure ALL of your trash cans are out and accessible so they may emptied and picked up on your regularly-scheduled trash collection day. No existing cans may be kept, regardless of the condition or style of the can . Old cans that are not put out will not be serviced with trash collection in the future and the address may be assigned a fee. **This change out is part of Riverton City's contract with Waste Management, agreed to several years ago, and comes at no additional cost to residents or the city. Do you subscribe to Riverton City's YouTube channel? If not, click here! 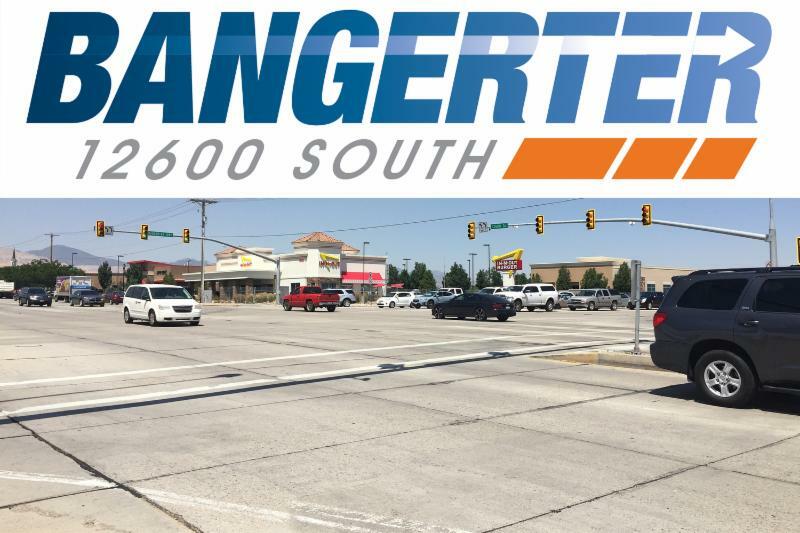 The Utah Department of Transportation is conducting a State Environmental Study at the Bangerter Highway and 12600 S intersection in Riverton to evaluate the benefits and potential impacts of a new, freeway-style interchange. You are invited to attend a public hearing (open house format) to review the draft study, learn about potential property impacts, and gather information on next steps. 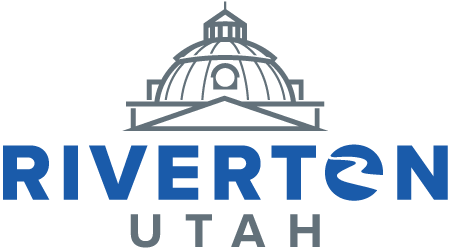 All Riverton citizens are encouraged to vote in the general election coming up on November 6. Salt Lake County votes by mail. Those already registered to vote should have received a ballot by now. Those who are not registered to vote may register online up until October 30. 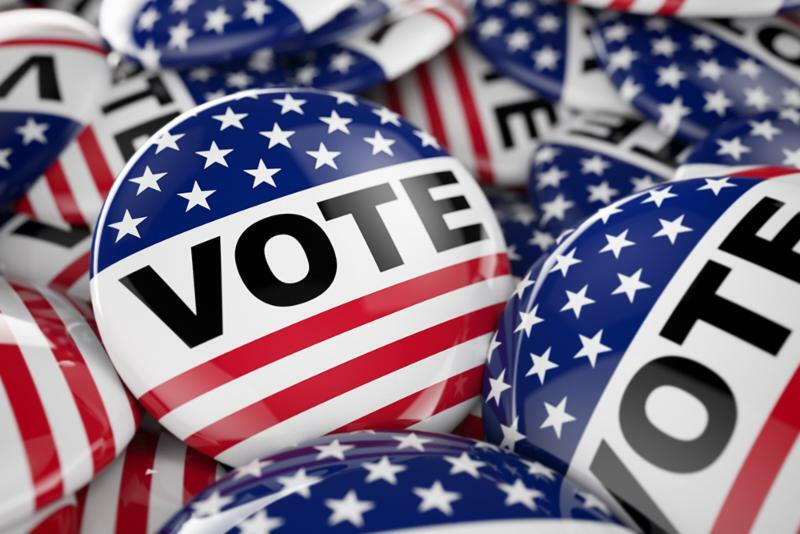 Ballots must be postmarked on or before November 5, the day before Election Day. ﻿A ballot drop box is located on the south side of Riverton City Hall for those who would prefer to drop their ballots off rather than mail. Soldiers from the 640th Regional Training Institute will be participating in the live fire to train for a new career in the artillery field. Given the nature of the firing exercises, artillery fire will occur sporadically throughout the day, beginning at approximately 7 a.m. and ending approximately 7 p.m. Artillery exercises are not open to the public.Those expected to be most affected by these events are residents of Bluffdale, Riverton, Herriman, Eagle Mountain, Saratoga Springs and Lehi. If you would like to participate as a member of the choir in Riverton City's Christmas Night of Music Concert, please contact Vicki Wartman to express your interest at vickiwartman.rtc@gmail.com OR (801) 870-7416. The Christmas Night of Music concert will be held on Saturday, December 15 at 6 p.m. at Riverton High School. Choir practice will be held on Tuesday events at 8 p.m. at the Sandra N. Lloyd Community Center beginning on Tuesday, November 13. 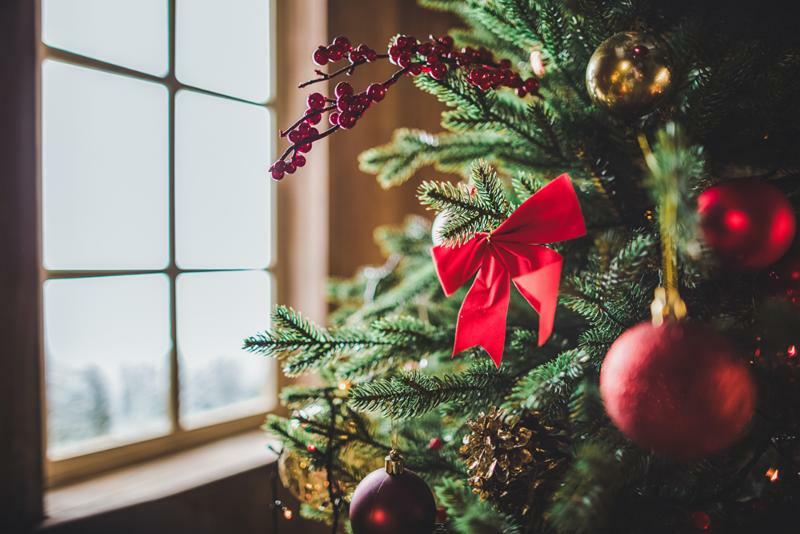 Show off your heritage by decorating a Christmas tree to show off in Riverton City’s Holiday Heritage event! Whether you show off your “Scandinavian Roots” or do a “Utah vs. BYU” or “John Deere” tree, the choice is yours! If you’re interested in decorating a tree, please contact Bradley Dance at bdance@rivertoncity.com . Lighted trees supplied for decorating. The Holiday Heritage tree display is open to the public from November 28 to December 19 at the Old Dome Meeting Hall, Monday-Wednesday, noon-5 p.m.
Join Riverton City and the Unified Police Department at the annual Holiday Heroes 5K and 1-Mile Race on Saturday, November 3! ﻿This a great event for those who want run for fun or best a personal record. Cost is $20 for the 5K run and $10 for the 1-mile run. All proceeds will benefit local families in need. 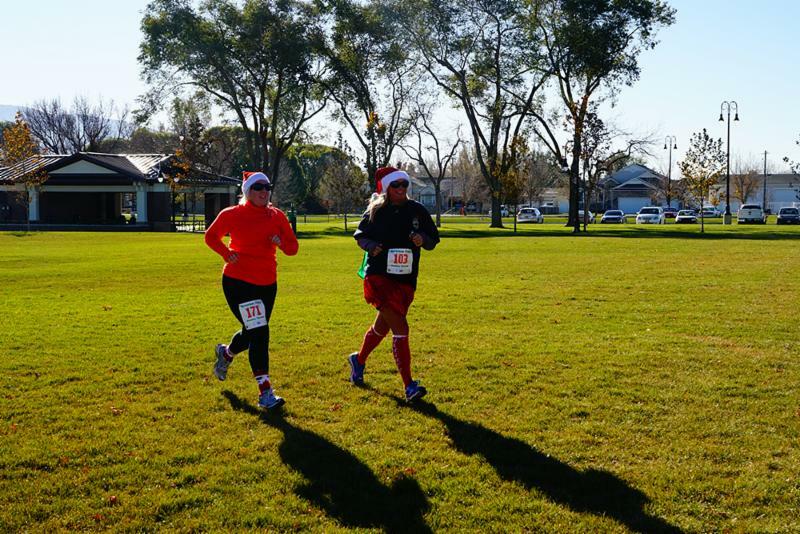 To join the Holiday Heroes 5K and 1-Mile run Facebook event, click here.